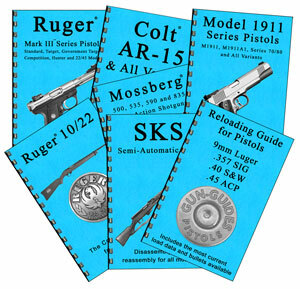 Concise, Illustrated Disassembly/Reassembly and Reloading Manuals for Specific Firearms. Easy to use - Comb binding lies open and flat on your work surface. Cardstock cover. Bright white paper. High-resolution grayscale images. *Select FREE Economy Shipping option at checkout. Looking for TekMat Illustrated Gun Cleaning Mats? Click Here.